A KWL chart was not something I used a lot last year and when I did use one, it was a really quick, crappy drawing on the board. 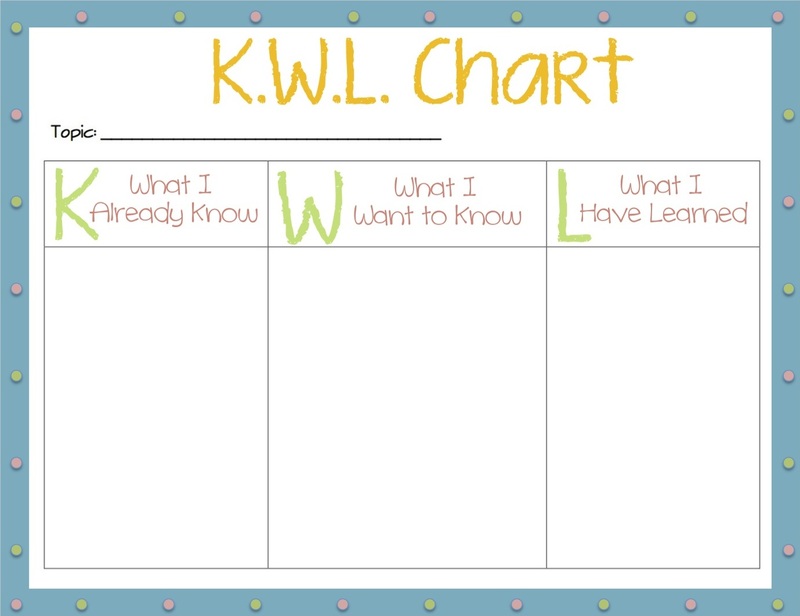 For this school year, I wanted to create a nice looking chart that could be used over and over again. I'll print it on giant paper at Staples and then laminate it so it can be enjoyed again and again. 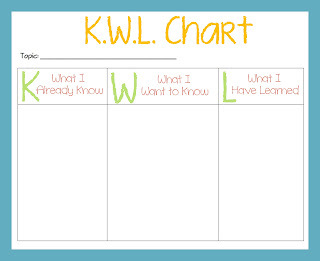 I'm also going to make smaller copies (with no polka dots) for the students to jot down their ideas before the lesson. As always, I'm happy to share! Thank you for sharing, but I can't open the two files you attached. I'm not sure why they won't work for you. Are you able to open pdf files on your computer? If you are still having trouble, you can try to download it for free from my Teachers Pay Teachers store. Click on the TPT link at the top of my blog and it will take you to the my store page. Maybe that will work. Good luck!